UYEE Rapid Tooling is a supplier of high quality prototype and short run production machining for industrial, manufacturing and engineering applications. Our specialty is CNC machining, rapid prototyping and general fabrication, our customer service is ideal – the individuals communicating with our clients are the same ones who have direct control over manufacturing. Thus, from quotation to shipment, we pay attention to detail in order to meet or exceed our client’s expectations. UYEE’s CNC machinists specialize in CNC prototype machining, guaranteeing precise products will be shipped to our clients with the fastest possible lead time. UYEE will work with any size work order. From custom component manufacturing to short run productions and small batch orders, we can handle them. UYEE has the knowledge and machinery necessary to provide your production solutions. We have the expertise and machinery needed to deliver superior precision parts with outstanding service. Our personnel are highly trained and work with the very close tolerances specified by our clients, ensuring perfect part quality every time, each order. No matter it’s a big order or small order. Our manufacturing facility is at your service. Our team of machinists, engineers, and sales support staff are here to help make what you want. Its very simple all you have to do is email us a drawing, and we’ll take care of the rest. Imagine, with the services we offer, you can create almost any metal or plastic object, made exactly to the specifications you require. For prototype and low volume manufacturing of custom metal and plastic parts, Usually Rapid CNC Machining is the best process, short of tooling, to match proposed production-part properties. We take your 3D CAD model and create precision CNC machining paths that guide our equipment to follow every contour and hole. The result is a precisely replicated part, exactly matching your original design of the CAD model. Although 3D printing is more and more popular today, for most materials, it’s limited. It can not be printed. So CNC machining is a solution to fix the problem. It’s able to machine the original materials that clients want .However, in most case, 3D printers only print the similar material. Especially for hard plastic and metal, such as: POM, Titanium. It can not be printed at all. Our Value Machining Service offers just that, value. No matter you require a short run of a existing product or need a high quality prototype for new product development; think of us as your personal partner. We won’t disappoint you. Our Value Machining Service offers production grade parts at a lower cost while still maintaining a high level of quality. This better help you to save cost. We are committed to delivering on time precision work with superior customer service. We accommodate rush and emergency orders as needed by our clients. That means the schedule of our production is flexible. We serve a very diverse set of clients and industries with a unique combination of multiple manufacturing processes. 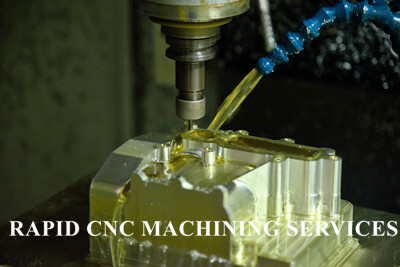 Grow your business with our CNC Services. We offer precision metal machining parts with exceptional quality, engineering consulting and quality control. We have much experience to handle situation in manufacturing products, and fix the problem in a short time. Such as: when clients need their order to be delivered in 2-3 Days, we can speed up the production to meet their requirements. We offer the wide range of precision machining parts with many types of finished: plated, polished, anodized, powder coated, painted… etc. As well as we are open to manufacturing custom CNC machining parts as per your unique requirements. CNC machining services feature personalized customer service for made-to-order parts and components. We provide turning, milling, drilling, tapping, boring, and grinding for a variety of materials. At UYEE, meeting and exceeding our customers’ expectations is our highest priority. To meet this challenge and build a long time business relationship with clients, our entire organization is dedicated to providing quality products at competitive prices, while providing unsurpassed service in the industry. With our advanced prototype machining centre, we will make your job of sourcing easier than ever. Prototyping, assembling, engineering consultation, shipping discount, short lead time, and a lot, lot more! As a client-oriented service, we always keep an eye out for better methods and solutions to maximize your profit and minimize your costs, as our clients can attest to. Flexible and short delivery lead time is available for small lot production. Capable of completing projects from prototype part to low volume production. We have both milling and turning capabilities along with inspection and computer aided design software. We not only can machine your ideas into products, but can help with the engineering and design process. It helps you to shorten the product development time a lot. Because you don’t need to source other designers to modify the design if it’s in need. Our engineer team can handle it better. As known to all, in industry field. Aluminum parts are economical, light weight and attractive. Components made from this metal are often less expensive because they can be machined in less time than many other metals such as steel, brass and do not require additional finishes, or the finishes are easy and cheap, such as: sandblasted and anodized. Today Aluminum is one of the popular materials due to its excellent mechanical properties. If you need aluminum parts cnc machined we are one of the most capable and affordable suppliers who specializing in manufacturing precision machined parts on advanced cnc machines. With vast knowledge and experience, our cnc machine shop is able to produce parts that require innovative tooling and fixturing in a timely manner with competitive price. In fact, we are good at machining big and complex aluminum parts. Our CNC programmer and operators know how to handle some complex structure. Usually they need to make a fixture before starting machining. In fact aluminum with 6061, 6063 and 7075 being the most used.